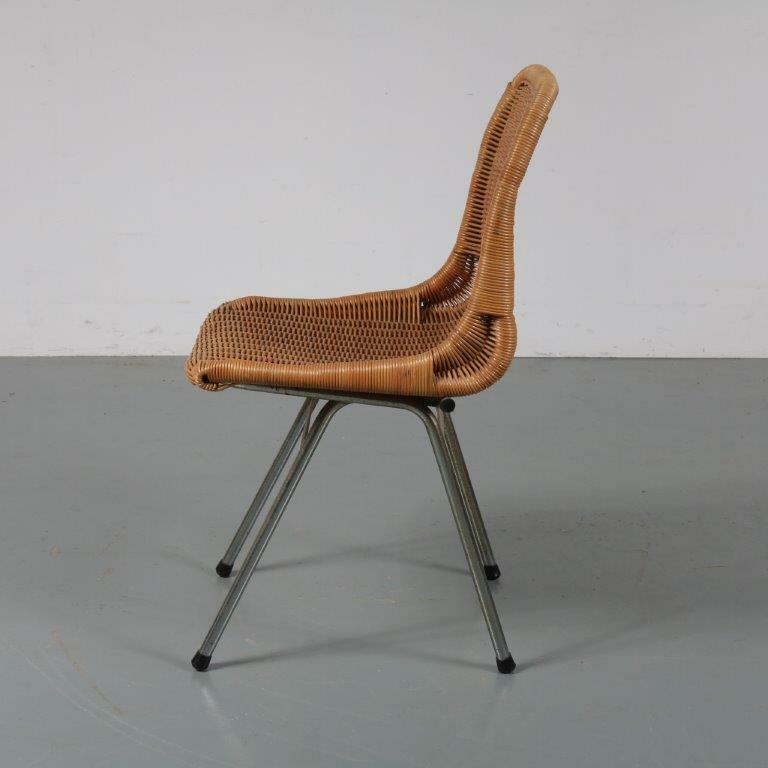 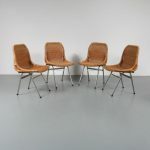 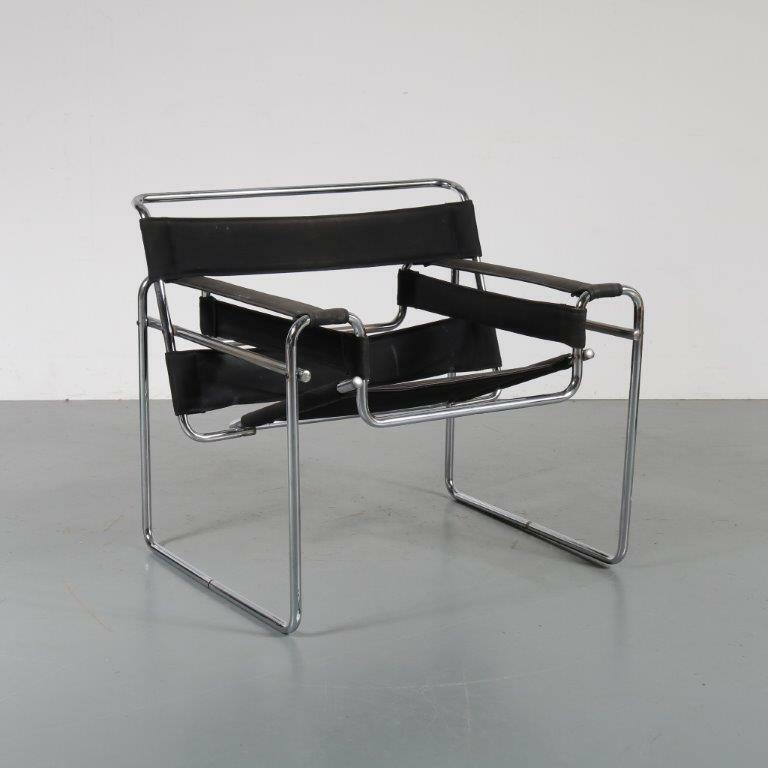 A very nice set of four dining chairs in typical Dutch design. 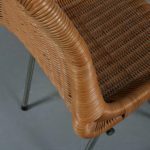 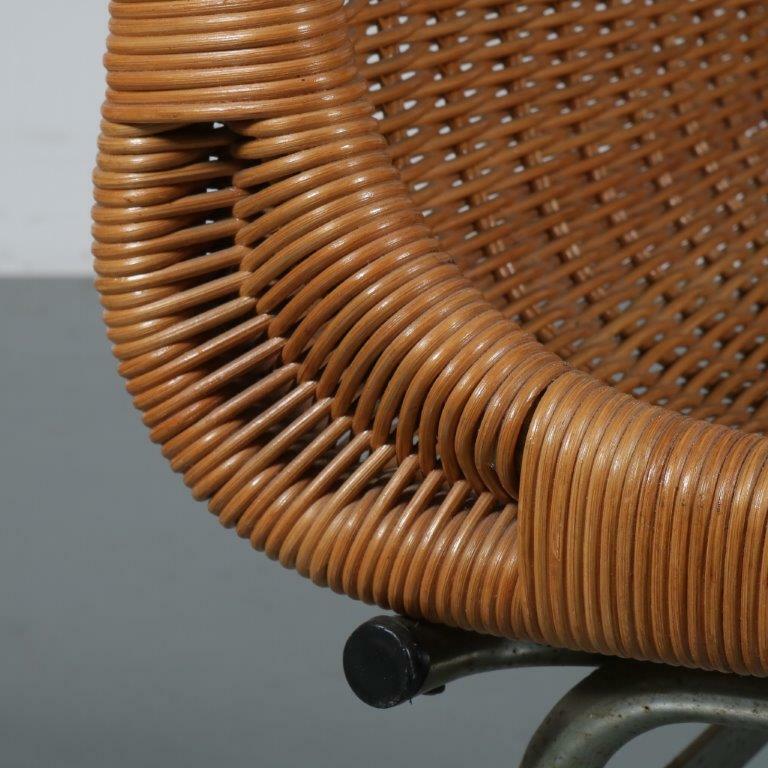 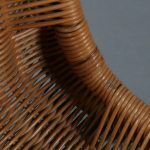 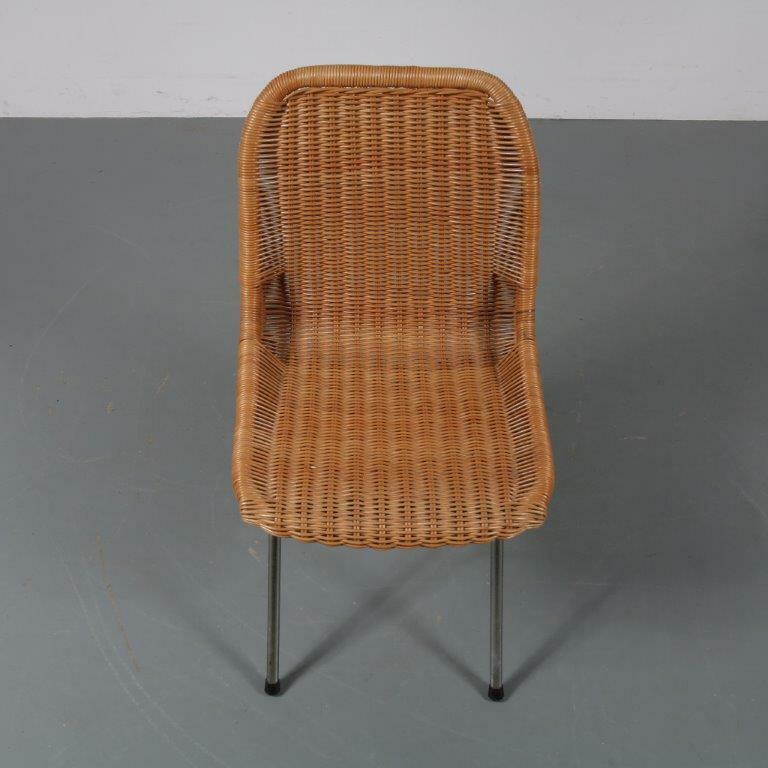 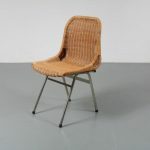 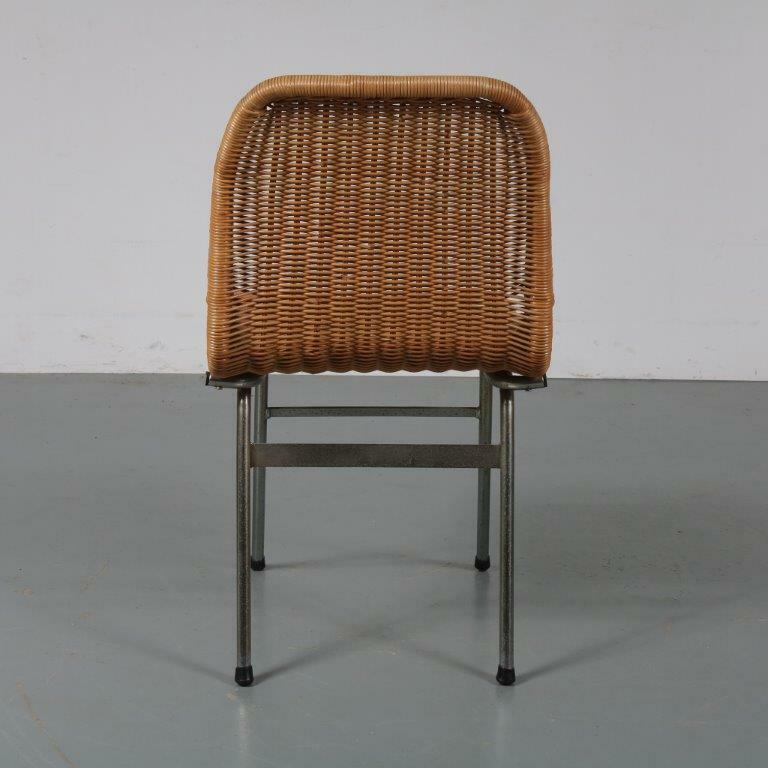 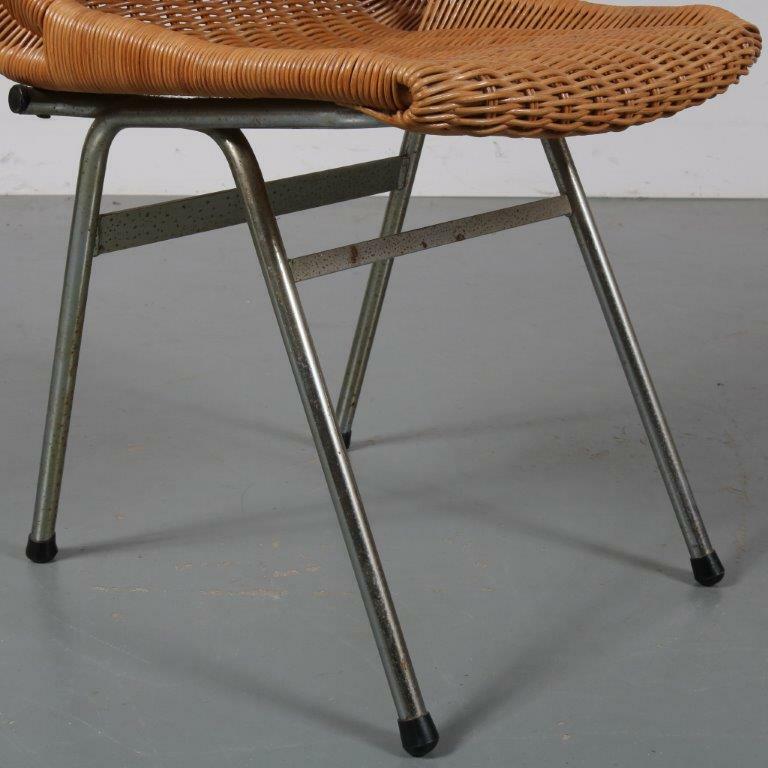 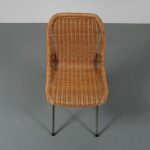 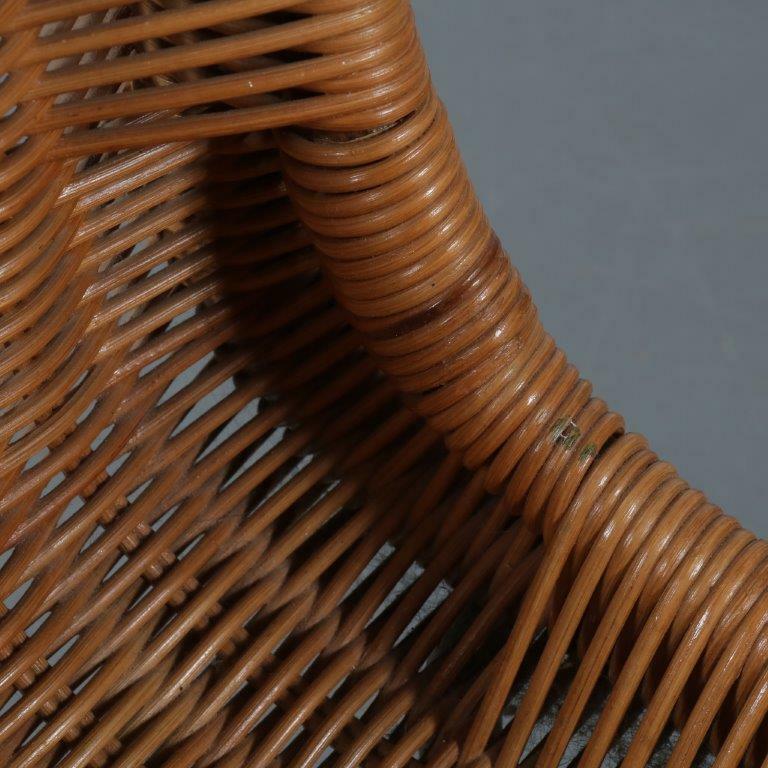 The seats are completely made of wicker, slightly thicker around the edges for a nice “hugging” seating experience. 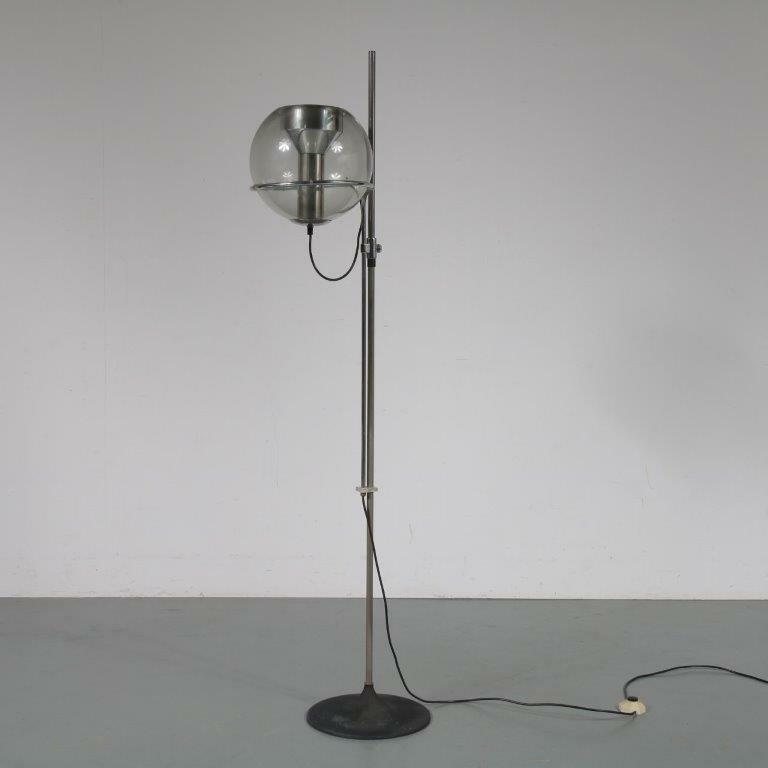 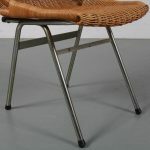 The chrome plated metal base has a semi V-shape which is a very nice touch and adds a modern touch to the designs. 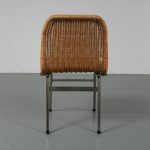 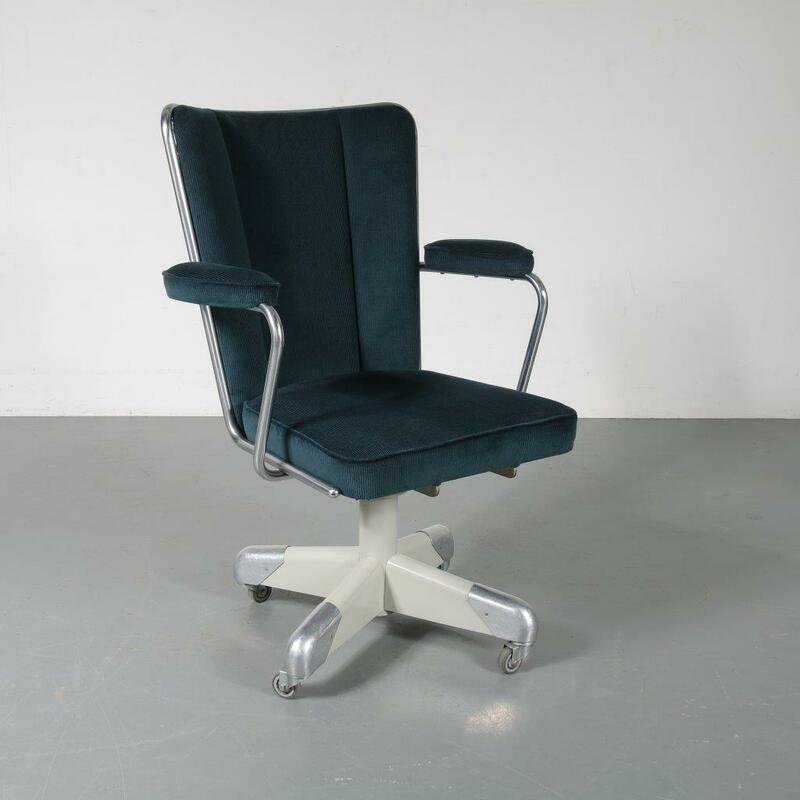 , creating a very comfortable seating experience as well as a unique style. 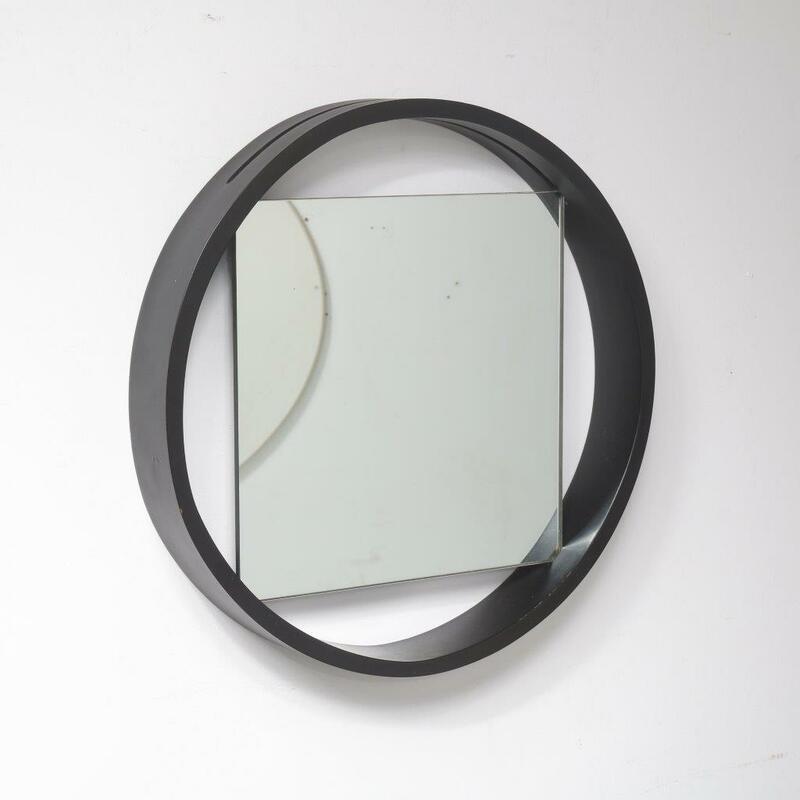 The frames are made of high quality chrome plated metal. This use of materials creates a lovely contrast that will add some warmth and style to any decor! 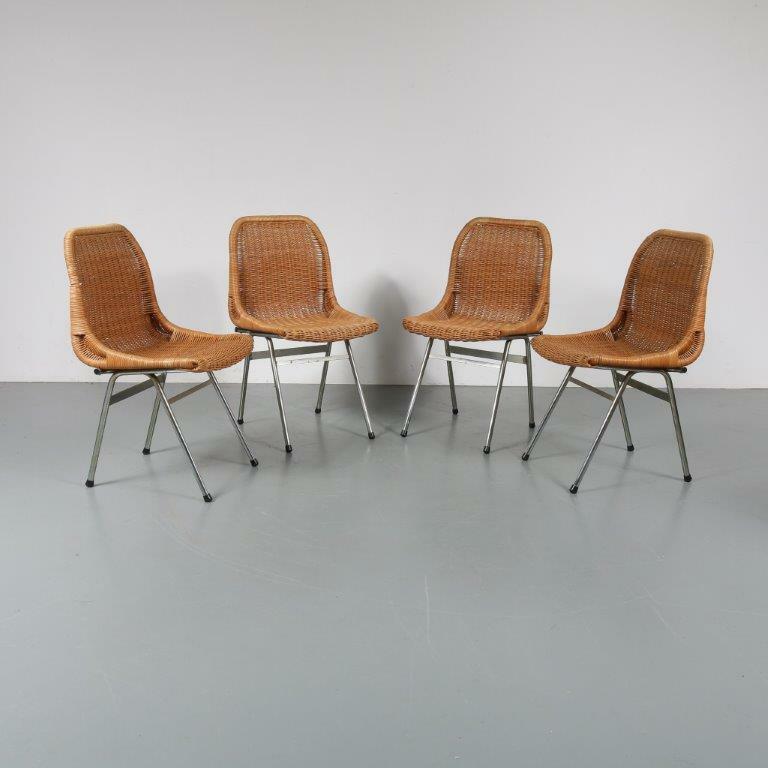 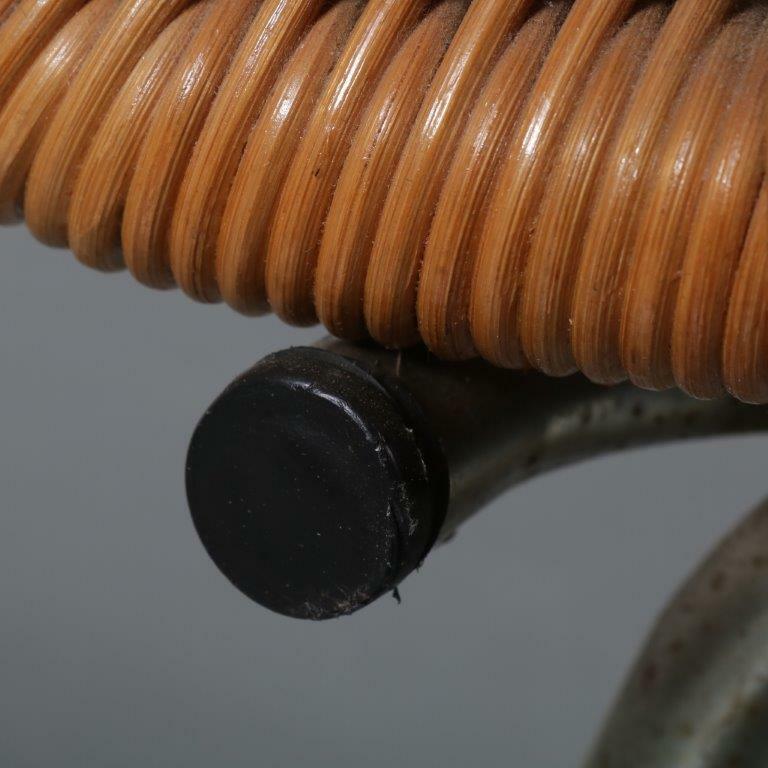 The chairs remain in good vintage condition with some slight traces of use consistent with age, preserving a beautiful patina.